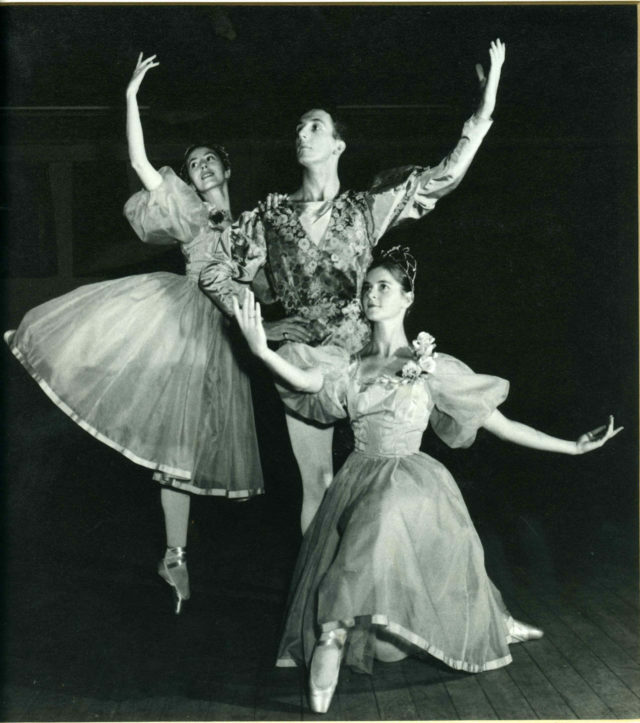 After leaving school I studied ballet with Linley Wilson in Perth and at the Royal Academy of Dance in London. I returned to Perth in 1962 to dance and teach. I married Ron Wise in 1964 and in 1966 we went to the USA where he completed Post Doctoral research in Biochemistry at Florida State University and Stanford. It was a great experience to teach ballet in these locations. Opening my own Ballet School in Perth was a thrill and a busy time ensued with classes in 5 suburbs as well as producing a TV series and looking after our darling children Tim, Daniel and Jodi. On the TV show I was dressed as a Princess reading a story while the children danced the ballet. One of these performances, Gigi, had an original score written by the wonderful pianist, Merome Holt, a highly respected name in the music world who accompanied my classes. I taught ballet at MLC two days a week for 20 years. It was pure joy as the Headmaster, Dr Hadley, and the Head Mistress, Mrs Cox and then Mrs Saggers, fully embraced the arts. MLC was one of the few schools that offered Ballet as a Junior School subject at the time. Some years ago, while in Hollywood USA visiting my daughter Jodi, an actor and designer, I was in a hotel foyer surrounded by directors and actors. In that creative environment I had the idea for a children's story based on my teaching experiences and the story came out in rhyme. Nina Rose's Toes was born, followed four years later by Nina Rose and her Dancing Prince and the latest book Nina and a Surprise Ballerina. The title came from our first grand daughter, Nina, who loved to dance and began walking on her toes at a young age. It is so gratifying when someone tells me they love the 'Nina Rose' books. My husband and I acquired Wise Winery in 1992 and amalgamated it with the Eagle Bay Estate the following year. Wise Vineyards is rated 5 stars by James Halliday. Our wines have won multiple gold medals in Australian shows as well as a Gold Medal for a Cabernet Merlot in the prestigious Brussels Show. On MLC: When I was a student, Walter Shepherd was a shining light and a great example of moral standards and work ethic.